in collaboration with the "Ca Bianca" quarry, it is located in Borgo Faina, a few kilometers from the center of Ravenna. ➢ It has a length of 1070 meters and a width of 16 meters on a dirt road. ➢ It is approved by ACI for Autocross speed races on land. ➢ It can host 10 cars at the same time. ➢ The raised stands allow the public to view the entire route. 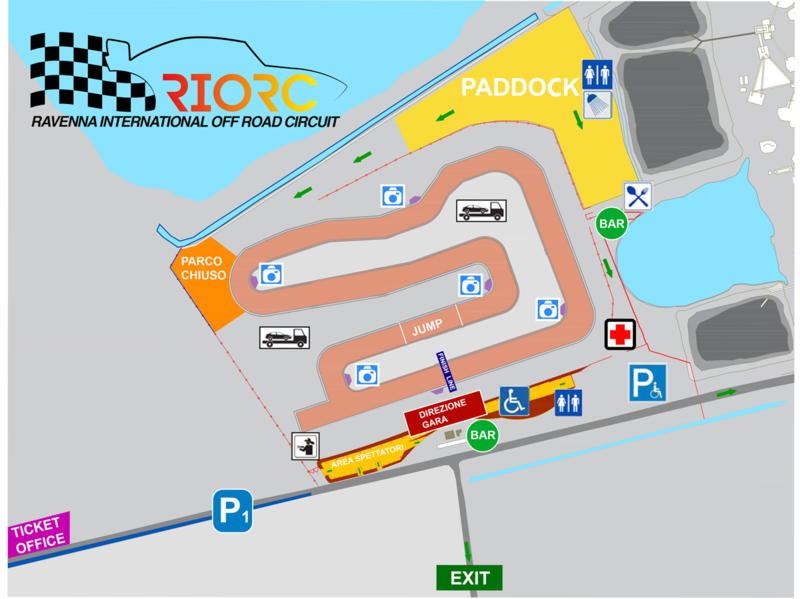 ➢ The circuit is equipped with a toilet, and a timekeeping building and race direction. ➢ The paddock is illuminated.